Steve Bates, the CEO and president of TAVS, which was founded on February 1, 2002 in Tucson, Arizona. Since then, TAVS has provided full-service audiovisual production, equipment rental, and professional customer service to hotels, resorts, and corporate clients. 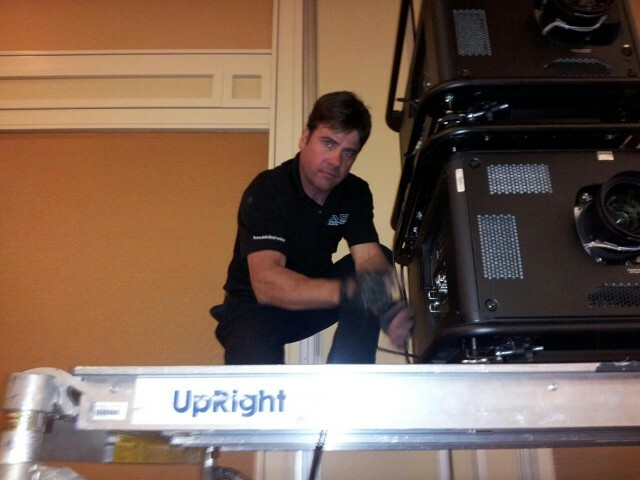 TAVS has more than 20 years of audiovisual experience and is involved in the day-to-day operations of all of our events. TAVS will work together to provide you with the technical advice and services you need for audiovisual presentations, meetings, and special events, lending you our expertise for projects of all sizes. TAVS strives to provide you with superior quality AV services at lower rates than our competition. We take your confidentiality serious and are careful to keep all of your rate, system, marketing, and booking information private. Both drop-off and in-house audiovisual services are available. Plus, we're able to bill your venue directly, making it easy to have all your AV charges on your master account. TAVS carries its own liability insurance and is responsible for all of its audiovisual equipment. Contact TAVS to learn more about our audiovisual production company or to request a quote for your next project.